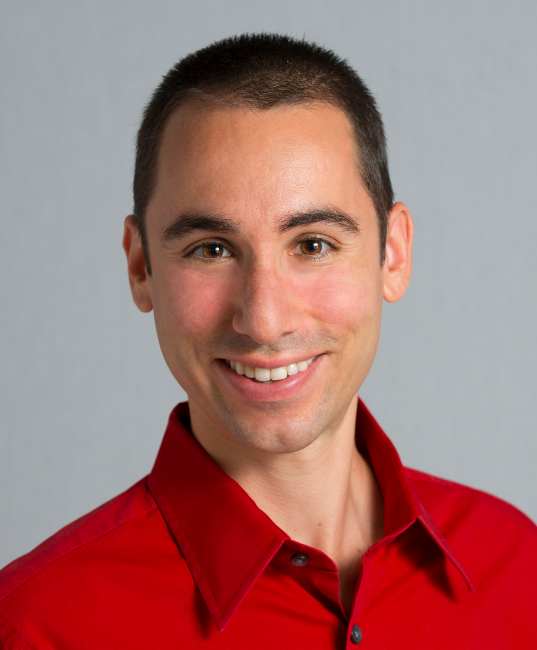 I recently interviewed John Richardson, author of Law School Bound: Everything you need to get into law school in Canada and the U.S. Our discussion follows. At the end, I've included a listing of the topics covered in book, as well as a link to a review of the book. 1. You published Law School Bound back in 2006. What new advice do you have for law school applicants today? Law School Bound was designed to guide people from the decision to attend law school, through the application process, through the bar admission process and into a legal career. The book was designed to “stand the test of time”. Therefore, I wouldn’t give any different advice in 2010. 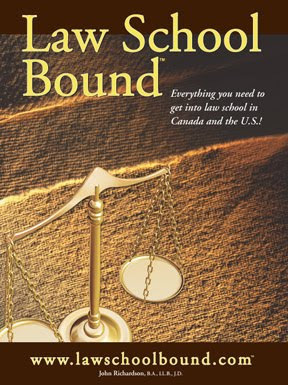 I wrote the first edition of Law School Bound in 1992 when North America was in a severe recession. The 1992 recession resulted in fewer applications for law school (including a decline in the number of people taking the LSAT). The book published in 2006 was during an economic boom. As you know, 2010 has been a tough year all around. The 2010 recession seems to have resulted in an increase in the numbers of LSAT test takers. But, so what? If one wants to attend law school and become a lawyer, one shouldn’t care about the state of the economy. A weak economy always means fewer jobs for lawyers (and everybody else). That said, there is always an abundance of opportunity for talented, enthusiastic, focused people. Remember, the economy will turn around. You might as well be waiting (with that law degree in hand) when it does! 2. In Chapter 12, "Different Marketing for Different Schools," you talked about tailoring the application theme depending upon a school's mission statement. This sounds like a good idea, but aside from a top LSAT score and GPA, what else are they really looking for? Don't they all want unique personal backgrounds, work experience, impressive extracurriculars, etc.? Your question is focuses both on the law school applicant and on the law school itself. There is a saying that even a dog knows whether he has been “kicked” or accidentally “tripped over”. A law school admissions committee knows perfectly well whether an applicant is applying to that particular school or is just hoping to attend any school. Remember, it’s the job of the law school admissions committee to “fill the class”. All other things being equal (which they may or may not be the case), any school would rather offer a space to an applicant who they think is a “good fit” for the school. Grades and LSAT scores: they will (in that order) be a huge factor. Remember that upward trends in grades are helpful. Unique personal backgrounds: The truth is that only a small percentage of law school applicants have “unique personal backgrounds”. Furthermore, there is no objective agreement on what a “unique personal background is”. And finally, the real issue (assuming a “unique personal background”) is: how does that background bear on the applicant’s desire to attend law school and his/her application? Work Experience: Work experience is relevant from the perspective of: how does it bear on the decision to attend law school? How does it bear on the maturity level of the applicant? How does it bear on the applicant’s motivation? Most law school applicants are coming out of some kind of undergraduate program and therefore do not have a great deal of work experience. Unless you are a “second career” applicant, the most that “work experience” will do is, distinguish you in a small way from other applicants. Impressive Extracurricular Activities: Again, there is no agreement on what is impressive and what is not. The issue is the same: how does participation in the activity contribute to the kind of person you are. For example, three years of “swimming practice” every day is strong evidence of motivation and consistency. Membership in certain clubs (depending on the role you played) may be evidence of nothing. So, when dealing with extracurricular activities, I recommend that you describe why it was important, what you learned from it, and how it bears on your decision to attend law school. Second, focus on the law school itself – how does the school see itself? No two people see themselves in the same way and no two law schools see themselves in the same way. On the most basic level, one school may see itself as a national law school and another as a local school. Some schools may have a teaching philosophy of not teaching “black letter law” (perhaps some Ivy League schools) and others may see themselves as for the express purpose of teaching “black letter law”. Some schools may see themselves as strong in the “public or international law area”. Others may not. When marketing yourself to a law school you must do your best to determine how the school sees itself. What kinds of people do they think are most compatible with their program? One must be conscious of these factors when crafting a “personal statement” for that school. You should determine the answers to these questions for any law school (including the top tier schools). 3. What advice do you have for applicants on getting accepted from a law school waitlist? It is hard to generalize about this. Each school has its own admissions committee. Each school will have a different way of organizing its waiting list. For example, some may have a list with an order. Others may just have a list. 2. Would accept an offer of admission from that school. In any office (including law offices – remember this for your future careers), the support staff have a great deal of influence. Always, Always, Always (did I say Always?) make sure that you treat the support staff with respect! It all comes back to the idea, that it is the job of the admissions committee to fill the class. If you are enthusiastic about the school, they will be more enthusiastic about you. 4. What advice do you have for applicants on negotiating financial aid? There are many opportunities for financial aid. Remember that “Financial Aid” can mean a loan, scholarship or combination. Some is public, some is private, etc. If you are applying for financial aid you must find out as much as you can about the organization that is funding the financial aid? What was their motivation? What criteria does it use? Every application for financial aid should (to the extent possible) be treated as a serious, independent application. You may want to emphasize different things about yourself for different forms of financial aid. 5. Any last words of advice to share with applicants? Actually, these should be the “first words” of advice. There are three categories of law school applicants. 1. Will get into most schools – These applicants have both very high grades and very high LSAT scores. In fact, the grades and LSAT scores are so high, that their application carries a “strong presumption” that they will be admitted. They don’t include anything in their application that will rebut that presumption. This is a small percentage of law school applicants. 2. Will get into no or very few schools – These applicants have low grades and LSAT scores and include nothing to redeem themselves in the rest of the application. They usually do a very poor job on the overall application. This is a small percentage of law school applicants. 3. Applicants who have demonstrated the academic ability to do law school work. But, the question is why that particular applicant instead of another applicant? This is by far the largest percentage of law school applicants. Furthermore each individual component must work with the other components in a way that creates a “whole that is greater than the sum of the parts”. It takes a lot of time to create a strong law school application. * Applying to law school is “academic marketing”. Your job is, through your law school application, to create positive (in a relevant way), images about yourself. Start your application early. This will give you the time to write it, rewrite it, get outside advice, etc. Pretend you are applying in the year before you apply. Do a “shadow application” in the previous year. You will do a large amount of the work in the prior year, but it means that in the real application year, you will be improving your applications instead of creating them for the first time. Get most of the work done in the summer. Applying to law school is a lot of work. It is so much work that it can encroach on time that you need to study (thus putting downward pressure on your grades). Work with an “application buddy”. Most people do not perceive themselves the way others perceive them. You will be grateful for an “objective assessment” of the images that you are projecting. You will find it difficult to describe yourself because you have the “whole picture”. An “application buddy” will help you with these realities. Take the LSAT in June or October at the latest. Remember that most law schools use a “rolling admissions process”. You can’t be admitted until your application is complete. June has the advantage of not conflicting with school and leaving October for a possible retake. The December takes place either the first or second weekend in December. This is a terrible time in your school year. Make sure you apply to enough schools. Apply to schools in the following three categories: Wishful thinking (very tough to get into it). Probable match (match your grades and LSAT scores with the profile of the school). Insurance policy (you want to attend law school regardless of where you get in). Letter of Reference: The fact that somebody agrees to write you a reference does not mean that it will be a good one. You need to “qualify” possible referees by asking the following question: “Do you feel that you could and would you be willing to write me a positive reference letter for law school” You are looking for an answer that is an enthusiastic – YES! This book is enormous - 560 pages. As I read its table of contents, I felt as if I were looking at the contents of a pre-law advisor's brain. John divided this book into 8 separate "books" (mega-chapters). 4. Law School: Understanding, Surviving, Flourishing! It also includes an appendix with general LSAT tips and advice. Read a review of Law School Bound by a pre-law college student.